Pastors Salomón and Mariela planned a 24 hour youth event this weekend that began at 7pm Friday evening and included a sleep over at the new location on 80 Avenida bis. They asked if we would like to be part of the activities on Saturday and we suggested that a project building nativity scenes might be an experience to emphasize the Christmas story and provide a hands-on activity for the kids. 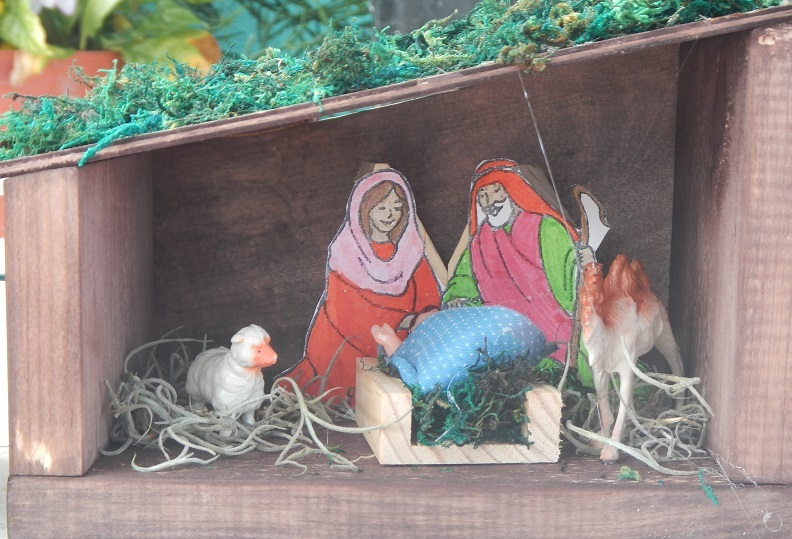 We prepared kits that included the wood pieces for the stable and figurines to place inside the stable. We began the activity time by talking with the children about the story of Mary and Joseph not being able to find a room in the Inn and having to settle with sleeping in the stable with the animals where baby Jesus was born. We discussed why God might choose a lowly stable for this birth when realistically, anything was possible; and how the star to guided shepherds and wisemen to the stable. This group began by staining their boards to get a rustic look. 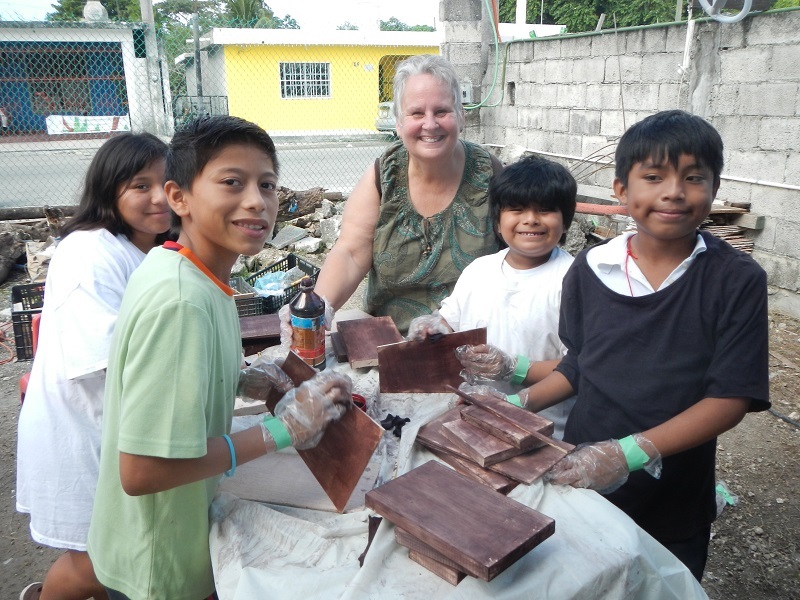 The children had already been divided into teams for other activities earlier so we had two teams begin by coloring the Mary and Joseph cutouts while the other two teams team began sanding their boards to remove defects and applying stain. We provided plastic gloves and oversized t-shirts to ensure the stain got applied mostly to the wood. Surprisingly, we were successful with that. Byron helped the children as they used drills for the first time. 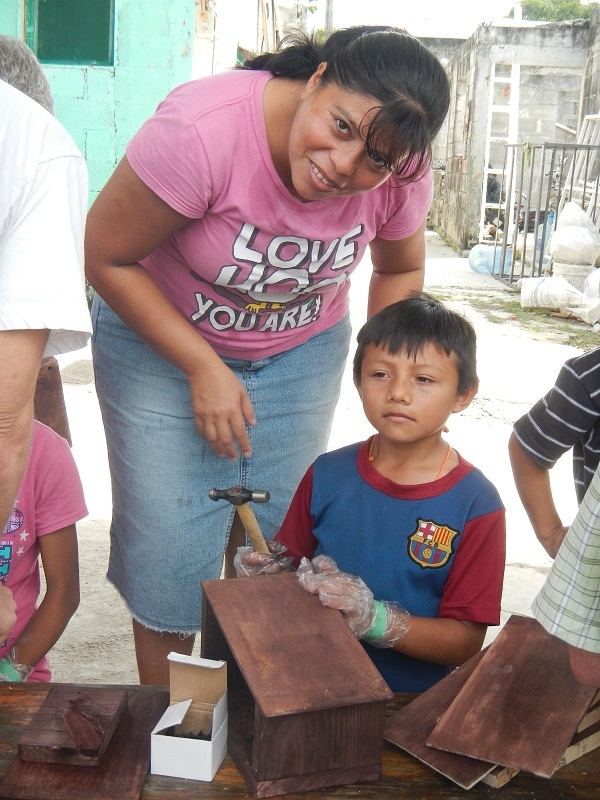 Chalo was ready with his hammer as Mariela provided encouragement. 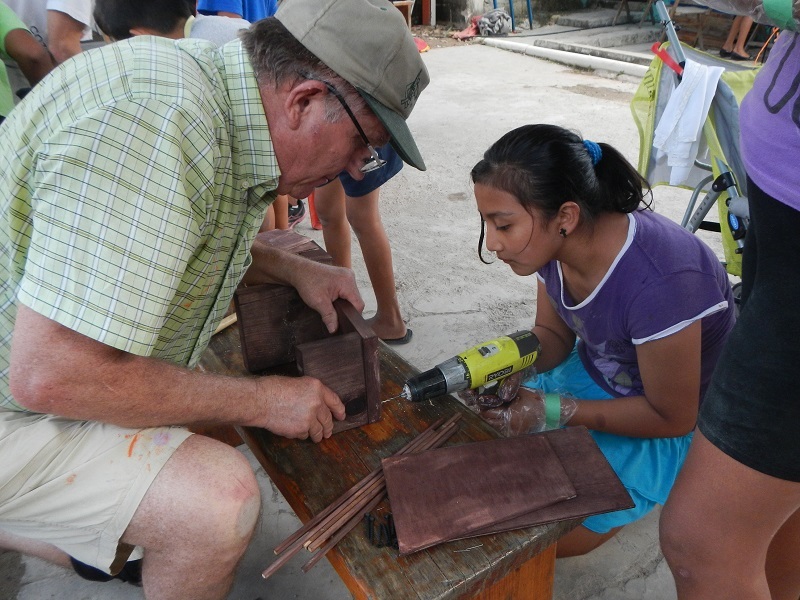 [/caption]Once the frame was assembled, we had the children nail the roof and back piece into place. Hammers were flying as nails bent, were pulled and straightened, then tried again. This was a great first-time experience for most of these kids and they were excited to see their structures take shape. 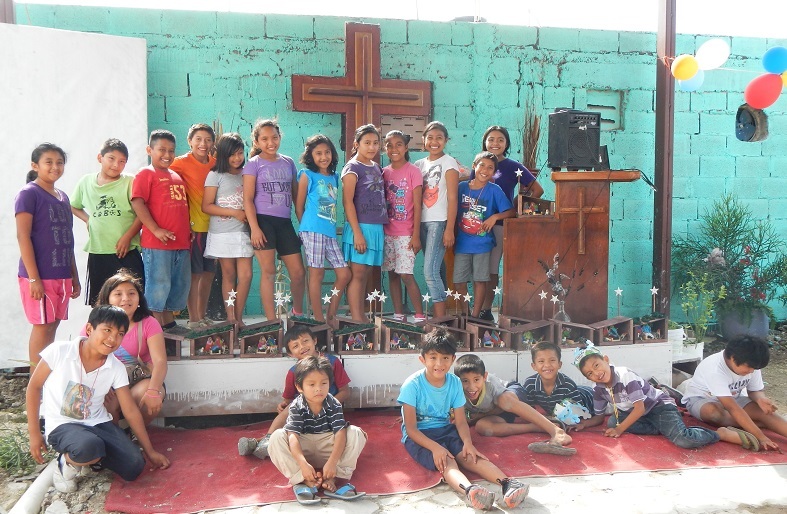 We asked the group to place their nativity sets together and assemble for a group photo. It was priceless to be part of this activity with the children. I’m confident there will be other projects like this in the future and a lot more sawdust in my shop! We ended up with 21 completed nativity sets so each child could take theirs home. This entry was posted in Uncategorized on December 15, 2013 by pedersenll. What a great thing to do. The sets will be brought out every year, with pride, reinforcing the good that you are doing!